As Easter inches closer, in the UK we start loading our shopping baskets with chocolate and hot cross buns. Our friends and colleagues across the world, however, enjoy this festival differently. Easter is a Christian holiday celebrating the resurrection of Jesus, as described in the Christian Bible. So how did we end up with so many weird and wonderful traditions? 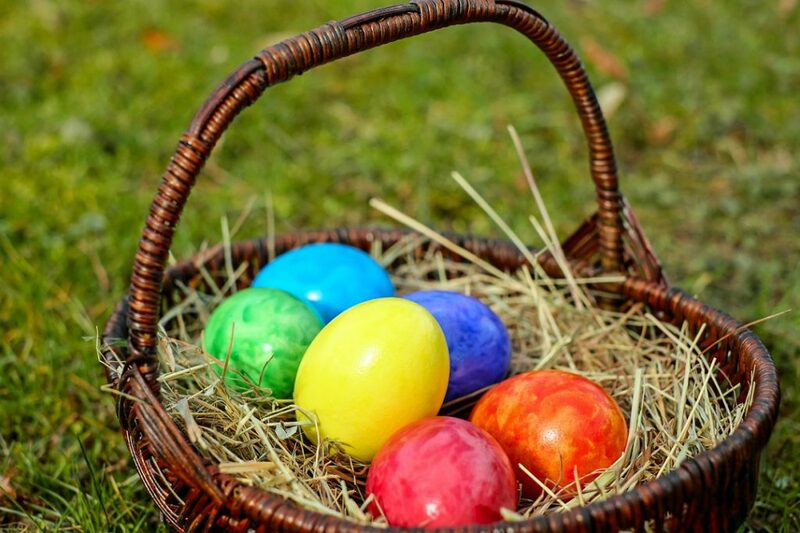 Many families in the English-speaking world spend Easter decorating chicken eggs and exchanging chocolate eggs. They may even spend their Sunday hunting eggs left behind by the Easter bunny. Even the American president hosts the annual Easter Egg Roll at the White House. But why the obsession with eggs? According to historians, Easter eggs symbolise the empty tomb of Jesus, from which he rose from the dead. In the past, eggs would be stained with the colour red to symbolise the blood of Christ. This is what began the tradition of painting eggs and creating colourful patterns. The Easter Bunny is a folkloric figure who originally played a similar role to that of Father Christmas. He judged the behaviour of children and categorised them as good or disobedient. In recent times, however, he has become a little less judgemental and a little more generous! In Poland and the Ukraine, there is a tradition known as “Śmigus-dyngus”. It is held every Easter Monday, where boys try to drench girls they like with buckets of water. Although the origins of this celebration are unclear, some believe it is an allusion to the baptism of Mieszko I, the Duke of Poland, in 966 AD. In Norway, a successful ad campaign from 1923 resulted in crime novels becoming so popular during Easter time that they now have special Easter thrillers known as “Paaskekrimmen”. In northern Germany, bonfires called “Osterfeuer” are lit from sunset on Holy Saturday until dawn on Easter Sunday. Jamaicans celebrate Easter with “bun and cheese”. They bake bread buns containing molasses and raisins and eat them with sliced cheese or give them as gifts. In Bermuda, children fly kites on Good Friday to represent the ascension of Christ. Every Easter Monday, the people of Bessières, France, make a giant omelette for the whole town using up to 15,000 fresh eggs. This tradition (allegedly) started after Napoleon demanded a giant omelette be made for his entire army. These are just some examples of Easter customs around the world, but the general trend seems to always focus on food and good cheer. Here at LKT, we’ll be enjoying as much chocolate as we can!